Twist, bend, flip, turn. No, these aren’t the moves to the latest dance craze. 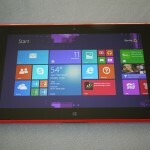 They’re just some of the latest tricks offered by Lenovo’s upcoming Windows 8 devices. Today, the company unveiled four new convertibles running Microsoft’s latest operating system, aimed at both consumers and business users: The IdeaPad Yoga 13, IdeaPad Yoga 11, IdeaTab Lynx and ThinkPad Twist. Built for consumers and students, the IdeaPad Yoga 13 was actually first introduced at CES 2012 in January and features a 10-point, 13.3-inch HD touchscreen that’s attached to a 360-degree hinge, so you can fold the display all the way back to turn the laptop into a tablet. This does leave the keyboard exposed when you’re trying to use it in tablet mode, which isn’t ideal. But unlike a number of the other hybrid PC designs we’ve seen, the IdeaPad Yoga doesn’t come apart so you don’t have to keep track of any extra pieces. It can also be angled in “Tent” mode — or downward dog position, to speak in yoga terms — so you can better enjoy videos and other media hands free. The IdeaPad Yoga 13 measures 16.9mm thick with room for USB 2.0 and USB 3.0 connectors, an SD card reader and an HDMI port. It ships running Windows 8 and can be configured with Intel’s Core i5 or i7 processors and up to eight gigabytes of memory and a 256GB solid-state drive for faster boot-up times. Lenovo claims the convertible can provide up to eight hours of battery life. 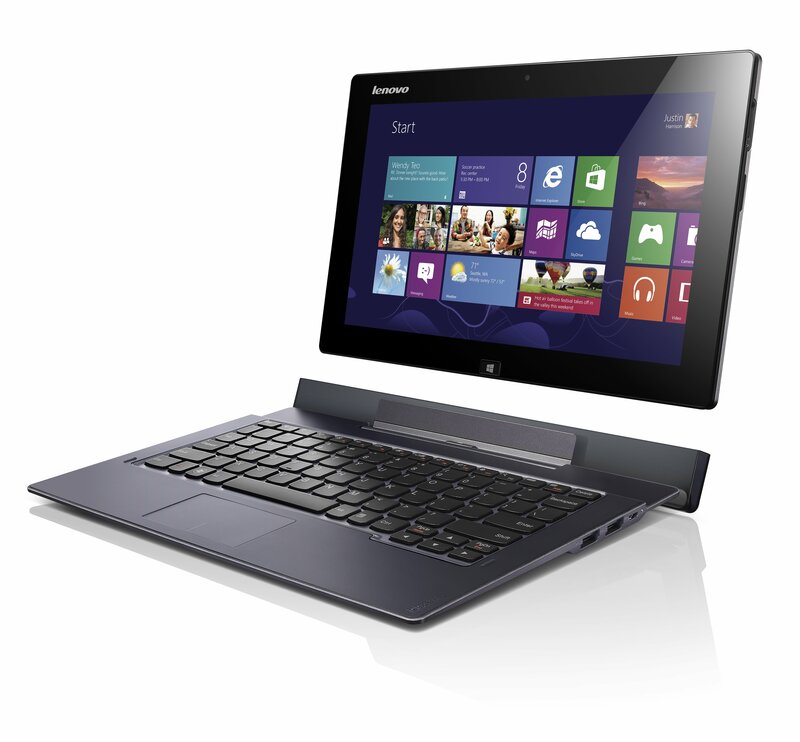 Pricing starts at $1,099 and customers can preorder the IdeaPad Yoga 13 starting on Oct. 12 through Best Buy. It will be available on Oct. 26 and comes in silver or orange. Serving as the little brother to the IdeaPad Yoga 13 is the IdeaPad Yoga 11. It offers the same hinge design but has a smaller five-point, 11.6-inch touchscreen and slimmer frame at 15.6mm thick. Ports include USB 2.0, HDMI and an SD card reader. 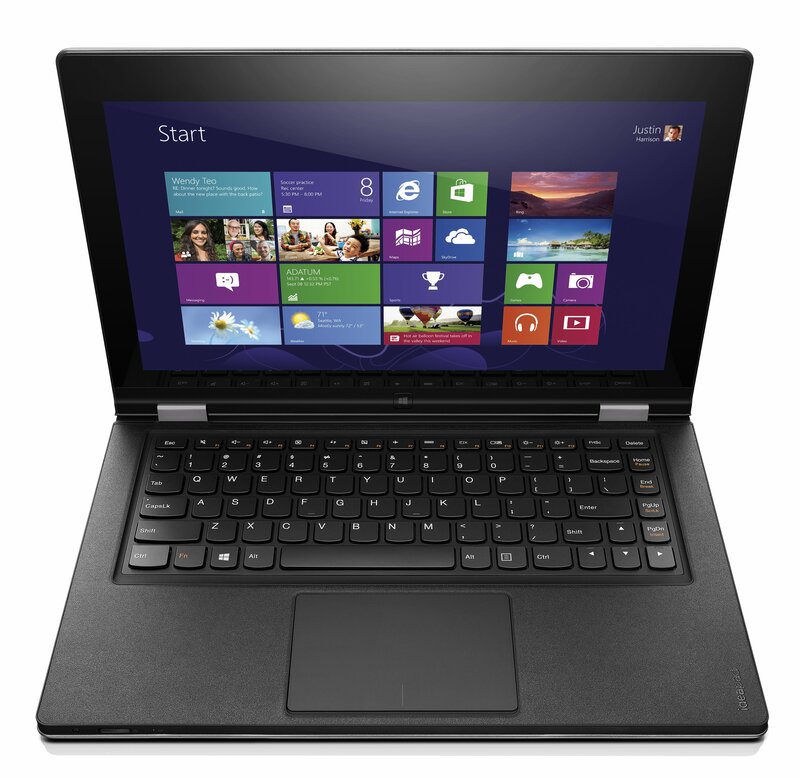 One other key difference between the IdeaPad Yoga 13 and 11 is that the latter runs Windows RT instead of Windows 8. Windows RT runs on devices using ARM-based processors, which are less powerful than Intel’s chips, but also allow device manufacturers like Lenovo to make thinner and more affordable machines. Windows RT uses the same touch-focused interface as Windows 8 and comes with the Microsoft Office productivity suite but does not include Windows Media Player. Also, legacy apps and some Windows 8 apps will not work on Windows RT machines. 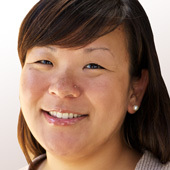 Jay Parker, vice president and general manager for consumer and SMB at Lenovo told my AllThingsD colleague Lauren Goode that it’s much more of a consumption device than a productivity device. 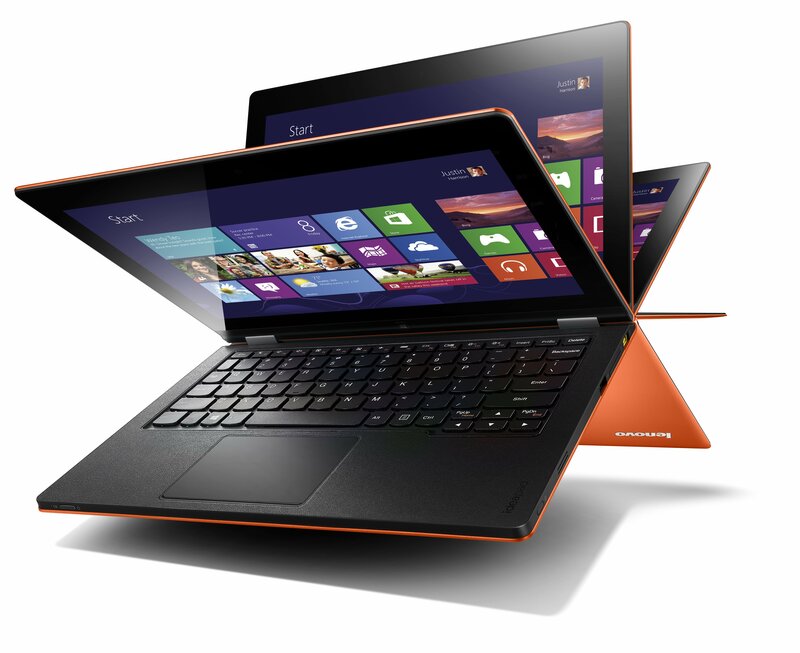 The IdeaPad Yoga 11 comes equipped with Nvidia’s Tegra 3 quad-core processor and claims up to 13 hours of battery life. 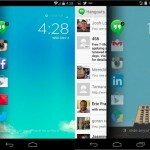 It will be available in December for $799 and above. Next up is another consumer device, the IdeaTab Lynx. The main part of this Windows 8 device is the 11.6-inch tablet, which has a 1,366 by 768 pixel touchscreen and offers up to eight hours of battery life. You can also dock it to an optional keyboard accessory for an additional eight hours of battery. I got a chance to eyeball the IdeaTab Lynx in person, and it wasn’t the most elegant solution I’ve seen. The cradle in the back is a bit cumbersome; I prefer something a little more streamlined like the HP Envy x2 or Samsung Series 5 or Series 7 convertibles. The IdeaTab Lynx weighs less than 3 pounds with the dock and uses Intel’s new Atom processor. Pricing starts at $599 for the tablet and $149 for the keyboard. 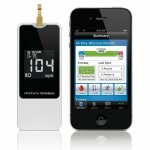 Both will be available in December. Finally, for business users, Lenovo is offering the ThinkPad Twist. 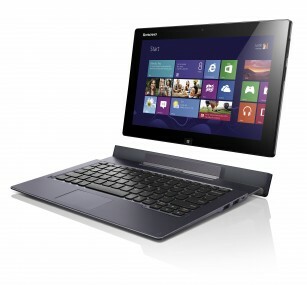 The Ultrabook has a 12.5-inch touchscreen that you can twist and swivel to convert it into a tablet. It can be configured with Windows 8 Pro, an Intel Core i7 processor, optional 3G wireless connectivity and a 500GB hard drive or 128GB solid-state drive. 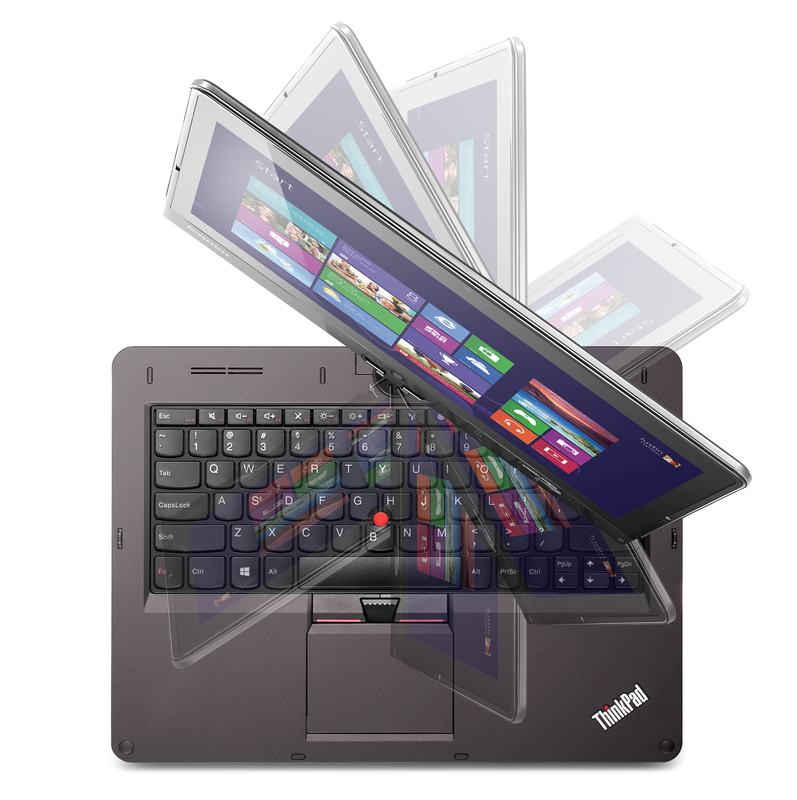 The ThinkPad Twist will launch on Oct. 26 for $849 and up. 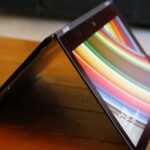 In addition, Lenovo said the previously announced ThinkPad Tablet 2 will debut this month, with prices starting at $649.